Integrative Therapeutics’ supplements are a collaboration of safe and effective therapies from conventional and complementary medicine. It is one of the top-tier manufacturers of supplements in use by integrative practitioners today – including naturopathic, chiropractic, nutrition, acupuncture, as well as a variety of general health and specialty practitioners. 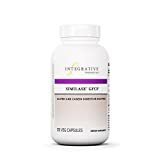 This article is all about the Integrative Therapeutics’ Similase GFCF, a gluten and casein digestive enzymes formula. 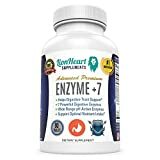 This is a comprehensive plant enzyme supplement that specifically formulated to defend against hidden gluten. Gluten and casein are available on any unexpected things such as salad dressings, cold cuts, even toothpaste. Similase GFCF is a gluten and casein digestive enzymes including DPP-IV (dipeptidyl peptidase), to support the breakdown of gluten or casein. 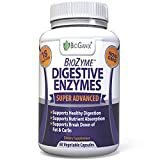 This supplement provides a wide range of enzymes for digestive support. Similase GFCF is a gluten and casein digestive enzymes including DPP-IV (dipeptidyl peptidase), to support the breakdown of gluten or casein. Digestion of gluten and casein can be particularly difficult for some people. But this supplement contains protease enzymes to support comprehensive digestion in combination with DPP-IV activity for the digestion of proline-containing dipeptides from gluten and casein. 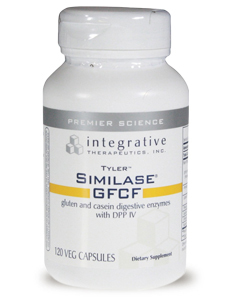 Similase GFCF also includes a complete range of digestive enzymes. It supports a gluten-free, casein-free lifestyle and helps relieve occasional indigestion, gas and bloating. Competing products can only tackle gluten, but this product provides superior support of hidden gluten and casein digestion, as well as the digestion of carbohydrates, protein, fat, and fiber. You can take 2 capsules with each meal or as recommended by your healthcare professional. One bottle contains 120 Capsules which can last for nearly two months. 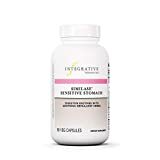 This product will help reduce the level of reactive gliadin and gluten proteins in a meal‚ still it is advisable that people with celiac disease should continue with their normal gluten exclusion diet. This is because even a small amount of gliadin can cause adverse reactions in the most sensitized people. If pregnant‚ nursing‚ or taking other prescription medicines‚ consult your healthcare professional before use. There are no known side effects of using Similase GFCF mentioned by its manufacturer. However, few users reported of having bloated, constipated and overall worst after using this supplement. Similase GFCF has helped people digest proteins & carbs. Many people found this plant-based enzyme formula helpful to regulate digestion. But for few users, the product was not effective. It didn’t improve their condition. Some even commented that the product is expensive. R.E. had digestive issues for several years and after trying different enzymes, he bought Similase GFCF, based on his doctor’s recommendation. He says this product has helped his digestion tremendously. With these enzymes, he can digest a wider variety of foods. Jennifer really likes this plant based product, specifically design to help with the digestion of gluten and casein. It has greatly helped with digestion but has stopped taking this brand of the enzyme, being slightly expensive. Sergio is using it for about two weeks now and has no side effects. Kyle says there is something in it that makes her feel bloated, constipated, and over-all bad. It does not take away the gas. She thinks it may be because of the hidden inulin in the capsule. 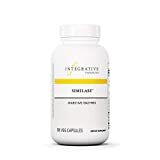 This supplement provides a wide range of enzymes for digestive support. If you are having difficulty in digesting gluten and casein, this is one of the most comprehensive formulas available to help with complete digestion.